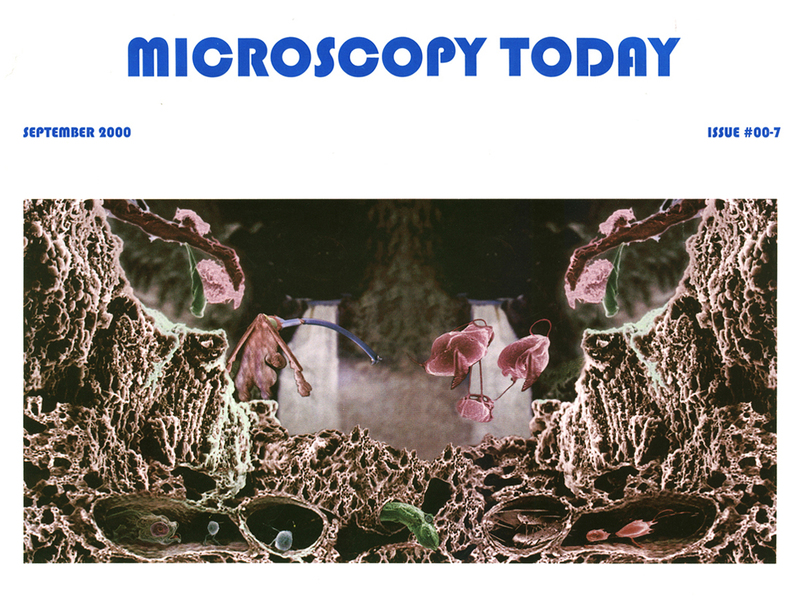 To increase awareness of Photoshop's then under-utilized image editing capabilities, the scientific journal Microscopy Today sponsored a graphics competition: Create a digitally enhanced photo montage from multiple (at least four) microscopy photos. First prize was $400.00, with the winning image to appear on September's cover. I approached it as an Adobe tutorial, a chance to familiarize myself with basic Photoshop tools. I built the image in layers, primarily with cut/paste and the smudge tool — not yet familiar with the clone (rubber stamp) tool or feathered selections. I won.